Unique ruins at the Caribbean coast. Tulum is one of the biggest towns of Mexico along the Caribbean coast. Cancún is a "all inclusive" destination with dozens of hotels. 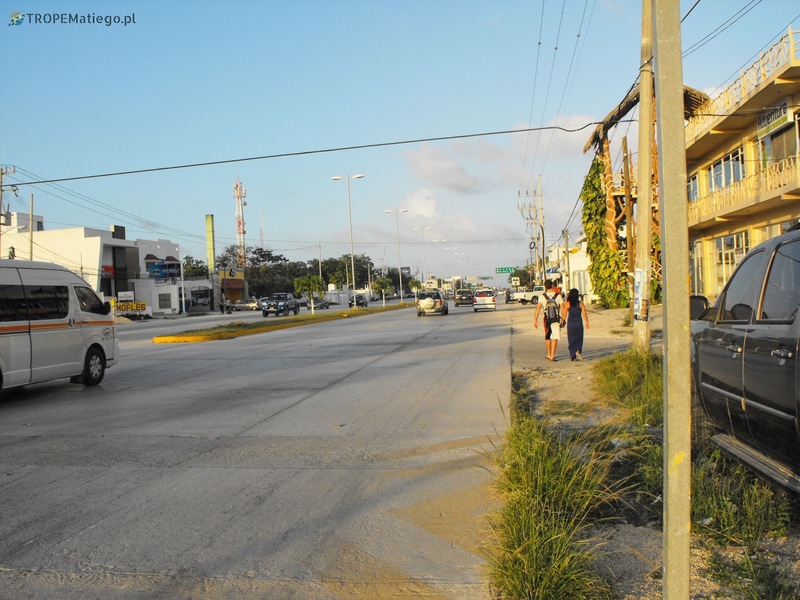 Playa Del Carmen offers many places to have party. Tulum, however is a place with quieter and calmer atmosphere. You can find here restaurants, pubs, but not clubs like in Playa Del Carmen. 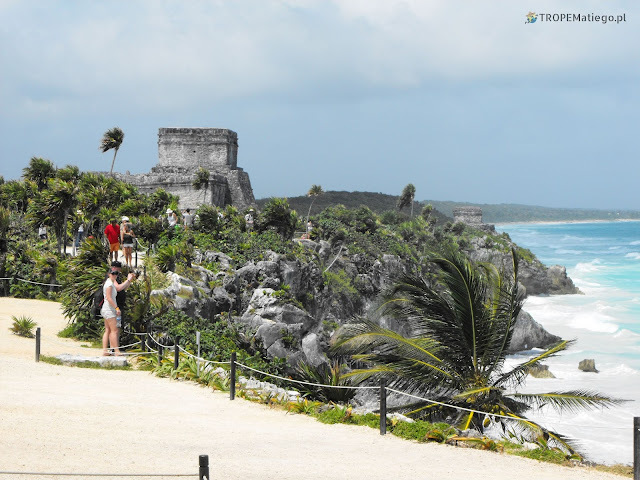 Ruins are the main and the most famous attraction in Tulum. The ancient city is unusual, because it is situated at the coast. In Mexico there is no second ancient city like this. The ruins are 2 km from the town. You can get there by taxi. Be carefull, taxi drivers likes to get payment from each passenger separately, so you need to tell that all passengers are together and they know each other. Then it should be only one bill. Near the entry to ruins are restaurants and shops. If you are lucky you can see the ancient rite of Nahua and Totonaks Indians. Five men (Valadores) climb to the top of 30 meter pole. 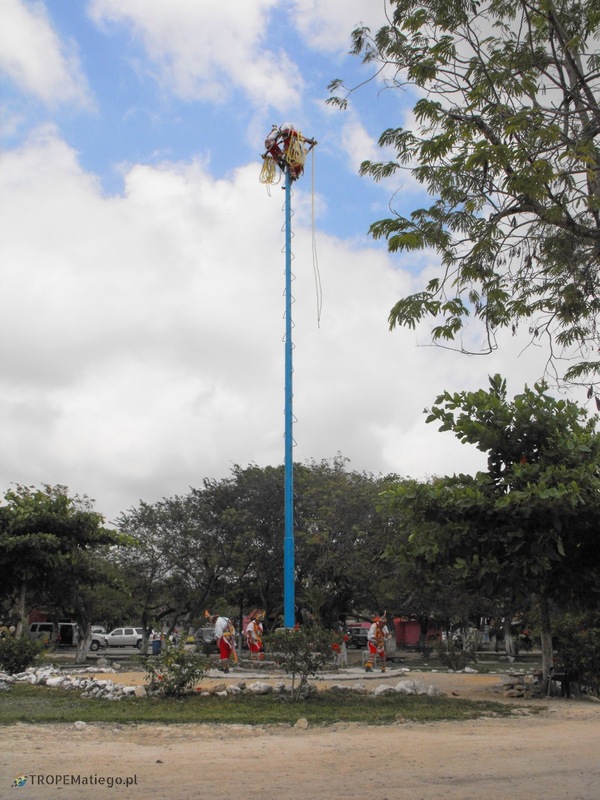 Then four of them dropes down on the rope around the pole. 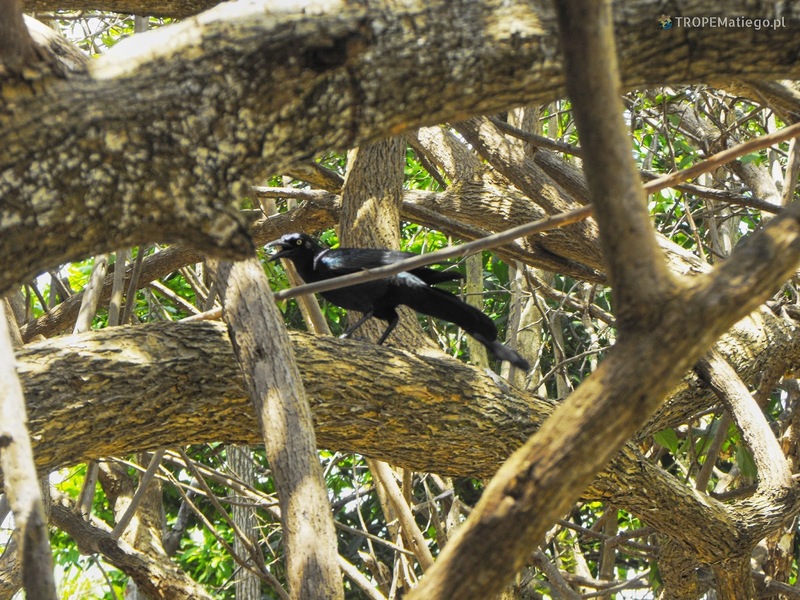 In addition to the ruins, Tulum offers other attractions: Cenote Dos Ojos described in separate post, beach on the Caribbean Sea, Sian Ka'an nature reserve. Unfortunately, the beach like the ruins is 3 to 5 km away from the town. Practically, you have to go around wooded area. Sever travel agencies offer diving. The prices start from $60. More interesting diving starts from $100. If the sea is not calm enough the diving will not be possible. 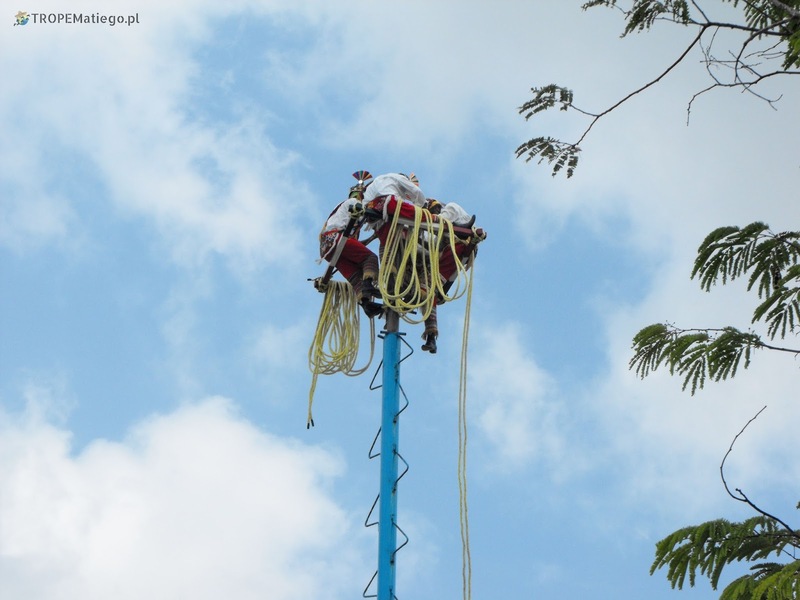 In such situation, agencies offer diving in cenotes. Sian Ka'an nature reserve is a tropical rainforest and wetlands on area of 45 thousand km2. 110 km of coral reef, hundreds of animal species (jabirus, crocodilias, manatees, turtles, etc.). Entry to the reserve costs $4. The Mexican goverment doesn't support tourism here, because they want to keep the nature safe. So, trails are in poor conditions. It is safier to take a guided trip from the travel agency for $100.